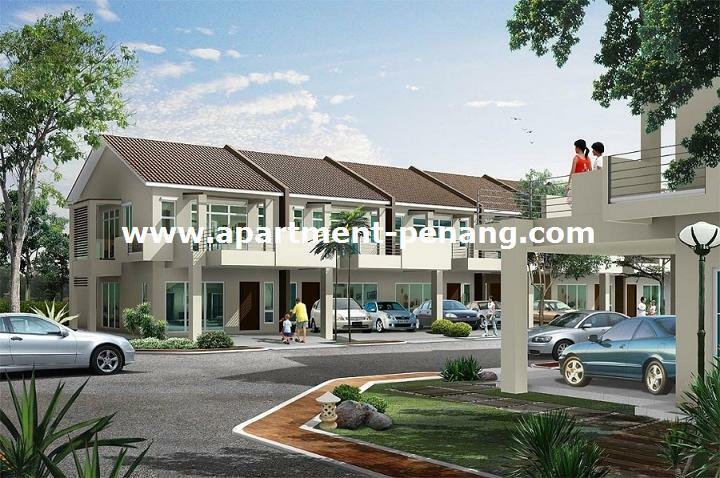 Pearl Garden, a gated and guarded residential project by Tambun Indah Sdn Bhd located at Simpang Ampat, Penang. 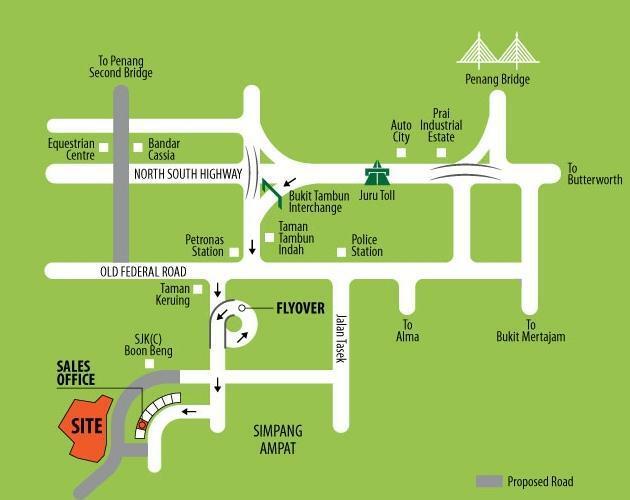 It is accessible through the North-South Highway via Bukit Tambun Interchange and also the proposed second link bridge. Pearl Garden consists of 2-storey terraces and semi-detached homes in a gated community with unique landscaping complemented by modern tropical gardens and open space. 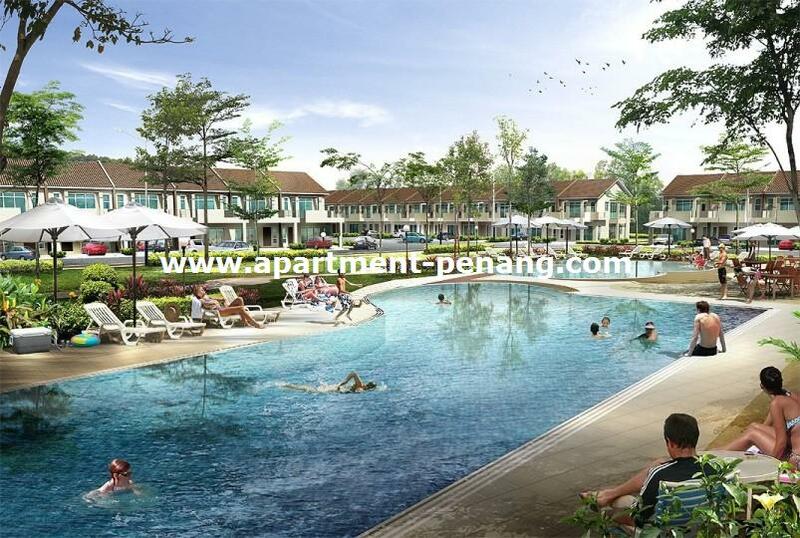 There are 440 units in total and come with swimming pool facilities for its residents. Does anyone know if the the 20K rebate is still valid for this project? and how many percents of the units have been sold? O have made a survey in the area, it has history of flooding in the past at Kampung Kepala Gajah and Kampong Manggis. Asked the sales girl with regards to flooding and they say the land is 10 ft above sea level (only), dare not commit anything, Seems like a flood prone area, I wonder if flooding has been mitigated already, if not, will there be any initiative by the government? Does anyone how much for each property type? Should be 238K for terrace. how's the flies problem in that area? any plan from the developer. I've been to the semi-D sample house during the last weekend and i was welcome wif a lots of flies. Ya, went there last weekend also and saw the flies. According to my friend who is staying nearby, this doesn't happen always, around once or twice a month; and it lasts only one day. Could be due to the chicken farm nearby; not sure if the developer looks into the problem. If got flies then need to be watch out. Normally it will not went off so fast. You need to check the condition especially after rain. Is anyone know if the place also smelly? I found the overall (current + future) development plan around pearl garden at simpang ampat. did anyone know what is better bank loan offer for this project so far? In this case of there ae plenty of flies, most properly the actual causes are nearby there are chicken / pigs farms around, if the area is smelly then the condition is even worth, there mean the drainage or river near by are clogged up, the discharge water are all dead bacteria / stagnated, so guys be care lor. For semi-d, is 355k the price after rebate 20K(promotion)? Do this place near to Penang second bridge? How many unit still left? As understand that area not near to farm, but I can see a lot of cows near by... Luckily it gated and guarded. ya. 355k is after 20k rebate. It's about 4km to Bukit Tambun Highway Exit, and 8-10km to Batu Kawan where the Second Bridge is to be built. OCBC: flexi, year 1-3 BLR-2.3%; T/A BLR-2.4%; MRTA optional; legal fee borne by borrower. Standard-Chartered: flexi, whole tenure BLR-2.3%; MRTA compulsory; legal fee borne by bank. According to sales girl around november the show house will ready for viewing. Not sure did they start anything there? According to Sales Rep, S&P will be ready to sign by this month end, anyone have received the notification letter? Wilson, that's a good news for me, as I wont be around in December. Wish to sign the agreement ASAP. I haven't received any notification letter yet, but received a call from the developer to check if I have got the loan approval. Received call from May Chan Lawyer firm today, S&P is ready to sign. Can we sign S&P 1st then only proceed for sign bank loan? I received the call from the lawyer too. u can sign the S&P first and loan agreement later. I will sign both of them together next month. the show-house can only be ready in January 2010. Some one told me the construction site was a mining land which is unstable. As i am not a local person can some one help to clarify this? I am staying about 5km away; never heard of any mining activities; but only plantation and farming. But I could be wrong. What kind of mining? Well! i heard from some one who trying to compare between villa cendana and pearl garden whiout further explaination of mining history..... most important things is the farming and plantation activities update. Are they still active? Cause, we experienced seasoning smelly atmosphese near juru height. The smelly atmosphere is much mitigated now. It's occasional and at an acceptable level. I'm more worried about the flies which I presume originating from the chicken farm nearby. They appear perhaps once or twice a month in large swarm, but usually last only 1 day. Nevertheless, I still purchased a unit because of the good landscape design, facilities, and most importantly the gated security. Nowadays break-in is common everywhere, not excluding Simpang Ampat. So safety is still my main concern. Foliage! I strongly agreed all the plus points you mention. The nearby primary school was one of the reason for me to decide my booking as well. Yeah, agreed! foliage & william you have all my words~~~, all the developments around the area it showed symptom for a new township growing....all these drive me to purchase a unit. i notice the S&P don't have date. i ask the May chan staff, they said doesn't matter u can sign 1st then they will put date later. It is true? i though must have the date on S&P before we sign? Can anyone advice? I had a copy of S&P & Deed of Mutual covenats with me that i got it from May Chan last saturday. I still haven't sign yet because some thing unclear. If you look carefully they don't even have their (license no.) on the first page of the contract. Means their project development license still not out yet. May Chan told me should be out within 2 weeks time. I believe May Chan will not put any date on the contract prior the license no. My advice! if you can wait then wait for another 2 weeks. Below are some information and reasons why the project charge under Strata Title (Master Title). Normally to save cost developer will develop a big piece of land under master title(eg:200 units of link houses under one big title). They need just pay the quit rent on the master title only(imagine if they sub divide to 200 individual title & pay quit rent on 200 unit of houses, a lot of admin work involve) When they selling off all the houses n completed built the house they will just submitted the Master Title to Land Office to subdivide to individual title with owner name on the title. The buyer will worry that the developer delay in doing the submission to Land Office to subdivide the Master Title. The worse case is the developer wind up and buyer can't even get their individual title of their house. So, my advice is you can check with the developer whether they already submitted application to land office to subdivide the master title to individual title. Normally it will take 3-5 years after the property completed to get the individual title as what i know. 1. If you got confident on the developer then is alright to buy a property under master title. 4. If the house can't get individual title in later time (eg: 10years) then that will affect the house price downward. some of the bank even don't want to give a loan to a property still under master title more than 5 years and above. For the additional fee of charging out master title to individual titles, is it the same as the Memorandum of Transfer that cost around 5-6k? i mean is pearl garden.the housing project that all of u discussing here.thanks a lot.mean while,can any1 provide me the exact area of this housing project.is the show house for this terrace house ready to be view?besides,i would like to ask all of u here,u guys decide to buy the house without looking the show house?and what is the price for 1 unit of 2 storey terrace house in this pearl garden? how many units have been sold till today?and can u guys recommend me the sales rep that i should find when i vist the sales office.thks a lot. hi mandy, u can call Mr. Khor (012-4735380). Unfortunately, the show house will be ready only in January. For terrace house, price starts at 238K. have u guys sign S&P?when should sign it?how long is the duration given to go sign the S&P? Mandy, I think for the current stage, you can sign the S&P whenever u r ready. The lawyer asked me to sign last month, but I'll only sign it about 2 weeks from now. Yesterday, a foreign banker told me the developer is soon getting the license within 1 or 2 weeks.2 local banker already offer me to view the loan offer letter which drafted with indication of offer rate between -1.95% to -2.2%. They shown their confident of offering for this project. Yet i will sign the S&P after 2 weeks. May Chan called again just now, housing development license ready! They will indicate in the S&P. Can sign the S&P any time from now. So the 20k rebate is no longer available? When I made the booking 2 months ago, they told me that the price for semi-D is 355K, which includes already the rebate 20K. So the semi-D now would cost 375K? Ya, that makes sense regarding the price. Between Juru and Simpang Ampat, I would prefer Simpang Ampat, serene and far from industrial area. Heard some houses at Juru Heights are rented out as foreign workers hostel. Ya, I believe when all the proposed infrastructure, especially the second Link are completed, the properties over there will go up further. Have anyonce start pay for the deposit? How's the payment term, 1 short for 12 mths? i'll make the downpayment with 12-month installment with post-dated cheque, as suggested in the letter from the developer. However, I am not sure when should we start paying, will ask the lawyer this Monday. i just confirmed with developer staff that we can issue 1st post-dated cheque date at 1st of december 2009.
i just bought a double story terrace. Wow! 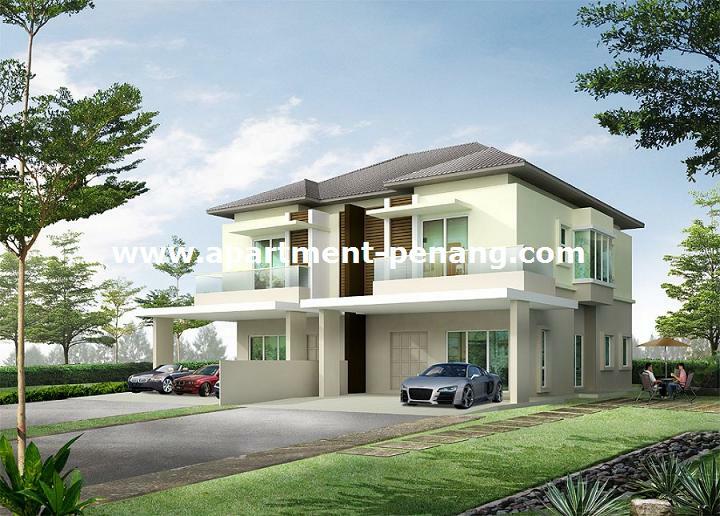 i didn't expect price at Taman Tambun Indah hit so high, close to 1 mil for 7800sf. Hopefully pearl garden price will grow up upon completion provided all common facilities are ready by than. Is any one familiar with AMbank services such online banking, branches accessibility and flexi home loan package? I am about to confirm the home loan offer by them but totally no experiences using AMbank services hope to get some advice from you guys. I have yet received the Letter regarding the down payment. Anyone can advice who should pay to and listed in posted cheque? As understand the 1st posted cheque shall start on 1st Dec 09. Wilson, did u receive the registered letter asking u to sign the S&P? the down-payment instruction is in that letter too. I have already passed the cheque to the lawyer. The cheque is to be payable to Tambun Indah Development Sdn. Bhd. who noe wat is the projected completion date for pearl garden?? It take 3 years for completation upon signing S&P. hi all, is it really finish by 3 years? ya, that's right. According to S&P, the project follows Schedule H, with date of completion of 36 months. That is from the legal point-of-view. Hi good morning to all of you. i hear that the location is smelly because located near to the chicken farm. Could you please give me a kindness advice regarding the terrace housing price eps the differentiate between intermediate unit and corner unit. The latest status development of pearl garden,overall master planning,title. I'm intention to seek my first dreams house. well i'm from penang mainland nibong tebal citizen. Now working at oversea. for the pearl garden, will it be the same? the monthly fee are they include the clud house facility? how are the developer manage this club house? Please kindly enlighten me the latest status of pearl garden . Hi! eric, to be frank i really had no experiences staying near to farming area. Based on my observation it is really hard to find a perfect place which is balance between pricing, urban facilities availability or natural enviroment away from industrial area. pearl graden is one example that not as perfect as i expected but never the less i still buy a unit, dealing with fly and smelly problem will only be my concern when we actually see preal graden ready. If you decided to stay away from industrail area the only 2 choice you have are city area or new emerging area (close to virgin land, farming or plantation....) So final choice still up to you. Hi Eric, I fully agree with William. For some of us, the advantages of Pearl Garden do exceed the drawbacks, as we are looking for a safe and serene neighbourhood. The foul smell from the barn is not serious. It happens occasionally at night. It's ok during daytime. The poultry farm nearby does attract a lot of flies in certain season, probably happens once or twice a month. I can't tell for sure. The terrace house is from 238K, the price depends on the land area, and the location (more expensive if facing the pool). You can call these numbers for more details: 04-5010088, 012-5115380. It will be strata title, the entire community will be managed like a condominium. So we have to sign the Deed of Mutual Covenants. I found it particularly useful to maintain the neighbourhood, and the garden looks harmonic. You don't have to worry that your neighbour will extend his house, and block the sunlight etc. May be next time we can form a group of committee. Hi DaRon, not sure what happened to the clubhouse in Tambun Indah. For our case, the maintenance fee includes the club house facilities :) Guess the developer will arrange a management team. Btw, the clinic at the junction near Petronas has already moved to Bandar Tasek Mutiara, not far from Pearl Garden. Hopefully this makes way for the flyover across the federal road. hi william and foliage. thanks a lot for the information. well i'm just worried about the location and surrouding context for future development how is look like. Frankly to said now i'm working at oversea planning to go back malaysia around 2 weeks for chinese new year festival.I would take this opportunity to having a look on site progress. 1) It's still available for the double storey terrace unit ?. 2)What is the pricing differentiate between the corner unit and intermediate unit.? 3) what is the future development to be going on within the project surrounding area ? 4) if that possible to get done all the necessary documents etc S&P within one week ? seems quite alot of ppl buying pearl garden. I have bought a unit too. Eric, There are still available unit for double storey terrace. The developer has opened more unit for sales(i think it's for phase 2). I am not sure exactly the pricing different between different unit, u may call the number provided by foliage for the details. As for the future development, u may refer to this link provided by foliage http://www.mutiaragoodyear.com/btm_facilities.html. Pearl garden should be tagged as 20 in the map. i bought a unit in phase 2.. there are not many left in phase 1... the remaining ones are mostly facing afternoon sun or facing road junctions... i think there are still availble units for phase 2.. phase 2 is ard RM10K more expensive compare to phase 1 for terrace houses..
Do you guys know when the S&P being stamp? If your's completed stamp pls let us know. Anyone knows about the status of the show-house right now? Dear all, got any news for the show house???? I went to the site this afternoon, saw the three types of show-house under construction. The progress now: wall, roof are in place. However, wall plastering and installation of windows and door frame was not complete yet. Not sure how long it will take for us to view the show-house, probably another 1 month? Good, Thanks for the information. Really can't wait to see the show house. Honestly, I'm quite satisfied for the current progress. I also went to the site last Sunday, the show house looks great! the 2 storey teres price increase again. Pass Saturday i just visit and i reserve a unit but on Tuesday they call me and said price will be increase 2k after 12.30pm so i need to do booking immediately. By the way may i know what did they offer for phase 1 booking and is there any different for the offer between phase 1 and phase 2? I didn't get any special offer when I booked for Phase I, probably only with lower price compared to now. It was 238K for terrace and 355K for semi-D that time. What are the prices now? Any idea on the price for DST now? And is the show house ready for viewing? Price for DST if not wrong is still start from RM238k but those are at selected location. According the to sales there the show house will be open on CNY and the price will be increase again after the show house done. The price for DST near swimming pool on that time seems is > 290k (not sure is it 298k..can't remember)..
To day chinese paper reported Jit Sin secondary school planned to open branch some where near Seberang Perai Selatan. Is any one know where is the actual location? How far away from Pearl Garden? This is good news, believe house price will up some if this is true. Yes, it locate opposite Kristal Golf Resort. The land was provide by Asas Dunia. But still waiting the permit from goverment for establish a new chinese secondary school..i think is still long time to wait!! Yesterday receive a flyer for Tambun Indah housing project. It advertise that Show House will ready to view on Feb. The Swimming pool and gym is look nice.. The tambun indah website showed the price for DST & semi-D was up already 242k , 358k. according to the website today, now semi-D starts at 363K, and DST 242K. Show-house will be open on 17th Feb.
hi foliage, what about those who purchased the properties last year, don't we get ang-pow luck draw? They are posted since Jan 8 2010.
great blog, 小丸. keep the photos coming so that we can view the photos from far :) thanks heaps! I have purchased a double story there but not quite pleased with their lack of urgency in getting some docs signed by their boss. It just doesn't make sense to want buyers to get things done in 1 month but they themselves delay things. Are both type of semi-D and terrace show houses ready for viewing?According to the developer, the show houses can only be viewed on 17th Feb?? i did text them to check the opening date but they told me it will be open on 17th feb. hope someone who stay nearby can have a look at the site. let us pay a visit during CNY holiday..
We did go to the BTM sales office to check about this, the sales person there said that..the land is reserved for muslim. However, whether the mosque / surau will really build or not, or when will it build, the BTM also not sure. oh yes...the world is so small. my office neighbour gonna be my housing neighbour too. i'll probably be going this weekend or next week. I heard from my friends no more 20k rebate and the price keep increasing. Is that true? And no many unit is available for phase 1A. now they open for phase 1B for selling, but the price increase a lot. My friends buys 2 unit over there as investment. Hi all, I just sign up committment letter for a DST unit in front of Swimming pool. It cost 293k with lucky draw 1288.
Who are the residence for Pearl Garden, please post in comment Yes and your plot Number. At least we can know each other and build up our community relationship. Is much easier to communicate after we move in. Where is the proposed New Jit Sin High School site? If this goes ahead it will be good. Thanks James for the prompt reply. I read around that the project is not green light yet. Fingers crossed it will be approved. Thanks James for the update. It's at least a good sign for the school. It's quite surprising though that they started the project works even before the approval. Well said James. Nice info on the Jit Sin branch project. Delighted to hear that the construction is going ahead. Here's to a wonderful future at Pearl Garden. Hi James, How much u buy for the double storey terrace house? Hi! James you are so lucky and just in time to get your loan approved because banks were now increasing BLR to 5.8% average. What is the interest rate you got for your loan? 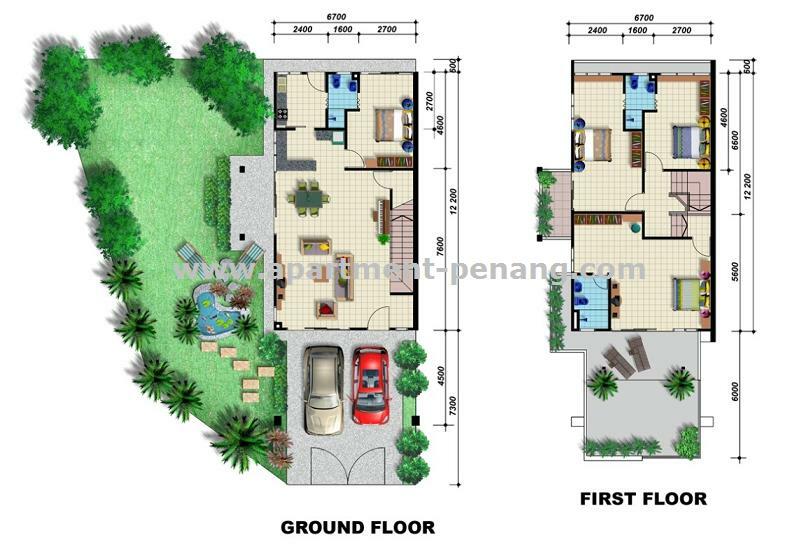 By the way you said "facing garden", do you know any detail plan of landscaping for that piece of land? Anyone can share which bank able to give best interest rate? Is anyone notice the ad on weekend newspapaer (6th ~ 7th Mar) stated 12 months free maintanence fee for Semi-D? Hi foliage, you say Pearl Garden increase min 8k-15k. 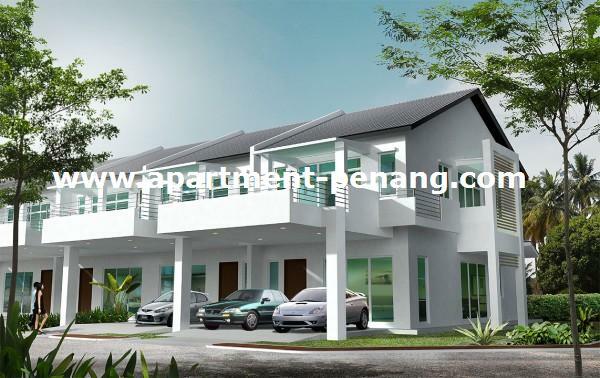 What is the actual price for double storey terrace house for second phase now? I saw in the show house. Not much unit left for second phase? So who want to have this kind of houses, be quick to buy. 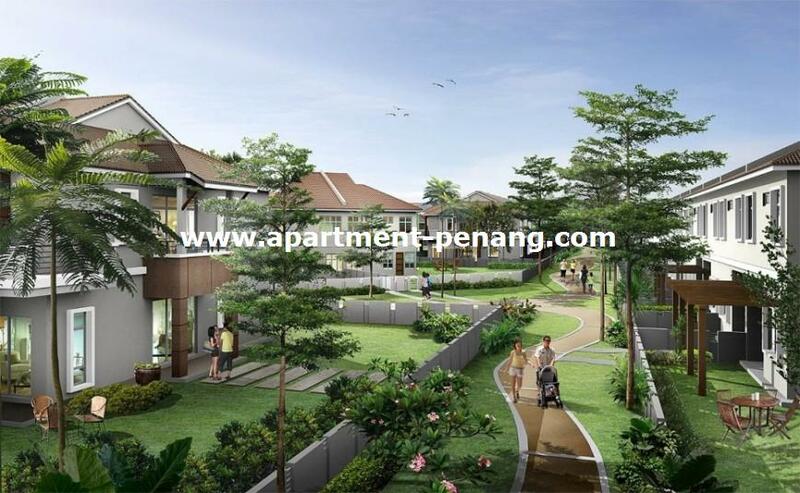 If not when tambun indah launch 3rd phase, sure price will increase very high cos last phase for pearl garden. Hi Loo, I'm not sure how much is the DST Phase 2 now; but I remember the soft-launch (Phase 1) price was 238K for DST and 355K for Semi-D. Recently my friend purchased a phase 1 semi-D at 375K - a whopping 20K! i booked the DST last 2 weeks, now waiting for loan approval. Hi Ming, Welcome to our neighbourhood in Pearl Garden. Which plot u bought adn how much? hi guys..does any1 knows what are they going to do with the chicken farm near pearl garden? will the chicken farm remain there forever? Hi Eric, I heard from the sales rep that the chicken farm will be removed in the future as one is not allowed to have a chicken farm near residential area. Not sure whether that will be the truth or not. I did not follow up her claim with MPPP. By the way, what had happen with James comment about Jit Sin High School. Why had it all been removed? The DST & semi-D house price growth fast, cant imagine the prices after the 2nd bridge completed. Any idea whether Phase III has been launched and the pricing? By the way, you would more likely be sick due to bad water and air quality rather than through EM radiation. My advice, check your own life habits before you go nuts blaming EMF making you sick. Albert, I support on what you said. Gaga, do u stay in a house currently? If you do your house has power line, home wiring, computer, TV, DVD player and electronic devices. If you have, please removed it all cos these devices emitted great EM or u can choose to stay in a house without electronic devices. So, Gaga, what you going to do with this EM which already being around you. Can you give us a better solution or advices that we can prevent it. Thanks. Hi Gui Gui... The 20K rebate still going on as I been there last week.. I still thinking of buying the house. But the show house were really impressed me..
Gui Gui...the 12 mths free maintenance fee is still applied for Semi-D and DST as well. This is what the salesperson told me during my last week visit. James and Loo: I booked the lot 176 with price RM265k. How about ur all? hi Kason, nice to meet u. As i know, in pg island have some condo or gated house, the management will charge you if you find outside ppl to do the reno for ur unit. Else u can use their ppl to do. I'm dunno about the price, but i think it wont cheaper than outside. So, any 1 know the management of our new home is different? I think it's the good share to all. Thank you very much for someone can answer me. I asked the sales staff whether Tambun Indah have any recommended renovation contractors in January. They said "no". We can find any contractor or ID we want. Since Tambun Indah will manage our property for at least the first year, I would think this should be fine. There shouldn't be any extra charges for using the contractor we want. Nice to meet you guys!!! get so much information from here.! Thanks Albert for the good info sharing here. Hi, Ming, Kason, Albert, James, PSP and other Pearl Garden neighbour. Nice to know you as we are in same neighbourhood soon. I get the recent news that, phase 3 will going to launch cos remaining house in Phase 2 is not many. When phase 3 open for selling, the price will be extreme high compare to current price. So if you have any friends want to have this kind of house, make decision early rather waiting until price increase. It not worth to buy with high price but with same house size on the differences is the timing of buying. This is just an advice for our community in Pearl Garden. Got 1 theory most people didn't understand. Last time, I didn't understand. When i understand, then it lead me to choose to buy house. The theory is most of the people will say I don't have enough money to buy house and have to save more money to buy house in future. Ten years later, that person still can't afford to buy house because our salary every year increment or promotion can't match with increasing value of property every year (assume no recession occur) This is very logical. Please think about it. Certainly a good deal if there is no compulsion for us to use the developer's recommended contractors.. There is a saying, its better to buy a house now, than to wait to buy a house later, if you can afford it..
How much is the price for phase 3 DST? Pearl Garden is sitting on top of dead palm oil trees. But technically speaking, it is sitting on top of a cemetery area since I am sure lots of living beings died on that plot of land since the beginning of time. So, what do you guys reckon are going on here? First, EM wave is bad for health, now it is a land haunted by ghost. What's next, it is actually a secret nuclear test site? or it is a site for Alien abduction. Kason have you heard these rumors as well? Did you know that a volcano is going to erupt over Pearl Garden? Oh let me put ?? to emphasize my point. I heard that ghosts are roaming the earth too, day and night, so are you going to move out from the earth too? Hi guys, my opinion is that we should welcome all critics, suggestions, positive or negative feedbacks in this forum. Everyone has an opportunity to support or refute claims made by others openly with facts. It's best to avoid using strong wordings as it may discourage sharing in this forum, in which case will render our discussion useless. I do hope the above is not just empty idea. I was agreed with foliage mentioned as above. My intention are sharing, doesn't meant to create "illogical". if these thing made you unhappy. I should apologize for that. I decided to removed the comment, after saw few feedback with used strong wording here. To my opinion. it is pointless for further discussion. Due to limited land on city area,I been staying on ex-cemetery hill for past 8 years. Everything are fine. Until now the houses there still are the top of higher demand housing area. Hi Gaga or Kason, pls dun feel that i being so offensive on both of u. Cos u both are still new in this forum...I do agree on Albert comment. if there is not proof, is better dun make any assumption. If really make any assumption in this forum, pls dun removed it. Let people view it and give comment. This is call forum. You get it..
Gaga, you mention, you removed the comment in order don't want to further any discussion.Maybe this your view but my view is different. This is forum, no matter i say it whether is right or wrong, I wont removed it cos everybody can view it and give comments to me. I can accept any critic which got point. Thanks. You may talk whatever you want to talk. But please also accept whatever ppl talk/comment as well. Else please dun talk in any forum. Hi Guys, have checked with local's there, existing area are palm oil trees land. Anyone started paying for the installments? By the way, any cons of having our houses build on existing palm oil trees land? Like white ants issue etc? Today signed the SPA with Lawyer. Just got the info from Lawyer saying some of the phase 1 residents have started to pay the installments. Previously have checked with developer about termites issues. They told me they will spray anti-termites gel before the construction completed. Ya..i was recieve letter from developer asking to pay 10%. May I ask which phase you bought? And the letter from the developer is it sent to the bank and they CC copy to you? Hi guys...FYI, tambun indah management has upload some pearl garden site progress pics in their website..
Seek your advice regarding legal fees on Housing Loan Agreement. My loan is RM225K, the lawyer charge me total fees about RM4200. Could somebody advice if the fess of RM4200 is reasonable? Could your advice is the charges reasonable? Or how much is your legal fees for Loan? Simpang Ampat in general is a 'ghost town' currently. There isn't much development in this area except houses. On the flies issue, yes it still exist. There isn't a day without flies and its a matter of whether the flies becomes worst or worser. There havent been any improvement on this, well except if you're in the business of making those 'sticky paper' that trap flies. On a 'good day' we could use up to 10 pieces of the sticky paper, each trapping at least 300 flies. No kidding. Apart from that, no other problem. Burglary seems common but with a good security system in place that irradiate the problem. CK, I am not sure about the legal fees. Both my legal fees, sales agreement and loan agreement are waived. Can't help you out there mate. Hi, recently i busy with my job. Since the houses under construction. No point discuss about construction. I have a better suggestion. If better anyone can provide sample nice decoration for each section in house for sharing. So each resident in Pearl Garden have a good decoration in house. fyi...there's a Pearl Garden group in Facebook. perhaps you guys wana continue discussion there instead of this thread. Hi Donny, more information about the Facebook group will be helpful. I tried a search on facebook but I can't find a group called Pearl Garden. Please enlightened me :) By the way, thank you very much for the heads up. Received the letter to pay my second 10%. Construction progress seems to be progressing well enough. Hi Albert, are you bought the Phase 1? Hi guys, what would your thought be on asking our developer to change minor spec in our house. 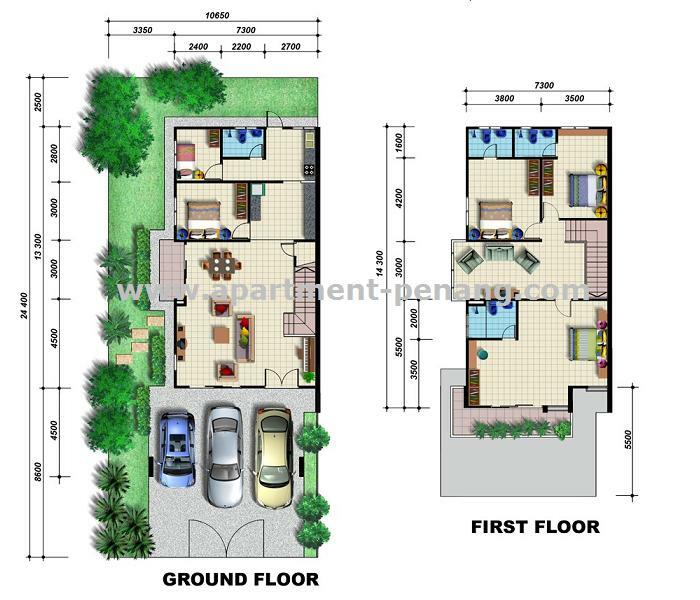 For instance, I would like the 1st floor tiles to be similar to the ground floor tiles i.e. 2inch tiles. And the layout of the stair cases as well. I don't like the triangle layout on one of the steps because I feel it is quite dangerous when going down the stairs. I would also like to have hot water piping instead of just cold water. Are we able to ask our developer to change that? can someone tell me the price of semi-d and land size? is there any units left? Albert, I bought phase 2.. and nth updates from developer yet. That's y need confirm with you what phase you are buying. Thank for your info. PeeJoe407, as i known, the phase 3 was start open for sales. I think you may direct go there. They will explain more detail to you. Knowing that Pearl Garden was launched Phase 3. This is the final phase? Total how many unit on this project?